To Kill A Machine is a play about the life and work of Alan Turing. Initially developed as part of Sherman Cymru's Spread the Word project, it was first performed as a rehearsed reading at Aberystwyth Arts Centre in 2012 and directed by Gilly Adams. The cast included Richard Hull, Rhodri Brady, Jak Poore, Robert Harper and Heledd Baskerville. Scriptography Productions then came on board to produce the show, and a pilot production was performed at Aberystwyth Arts Centre, Sherman Cymru and Swansea University in 2012, directed by Angharad Lee and performed by Gwydion Rhys, Stephen Marzella, Tom Middler, and Gareth John Bale and Ceri Owain Murphy. It was then performed as part of Clwyd Theatr Cymru's picnic plays in 2013. It was awarded a touring grant and a Wales in Edinburgh grant by Arts Council Wales and toured Wales and London in 2015, before performing at the Edinburgh Festival Fringe where it was nominated for an Amnesty International Freedom of Expression Award. Further nominations came in the 2016 Wales Theatre Awards where To Kill A Machine received four nominations for Best Playwright, Best Director, Best Actor and Best Production. 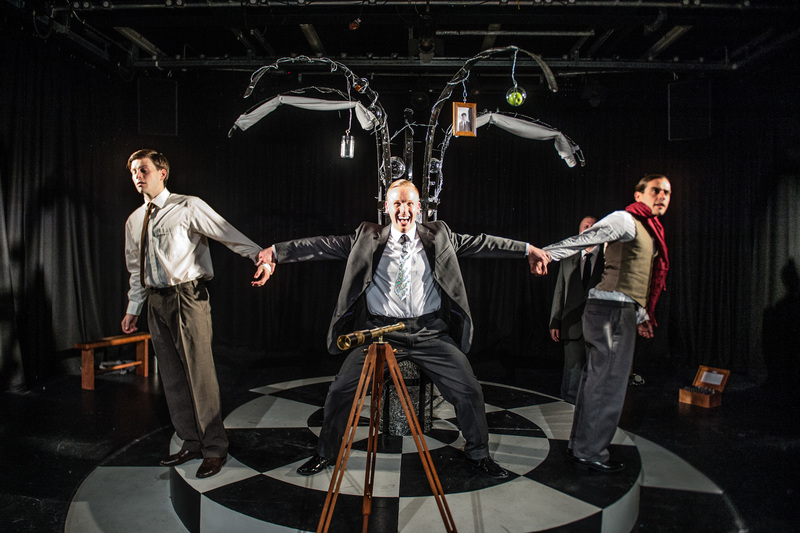 To Kill A Machine appears at the Kings Head Theatre in April 2016, followed by performances at the International Gay Theatre Festival in Dublin and an UK tour in autumn 2016. More information is available from the To Kill a Machine website and from the Facebook page (see below).